Seems to me, mostly campaigning, including an appearance on Letterman. 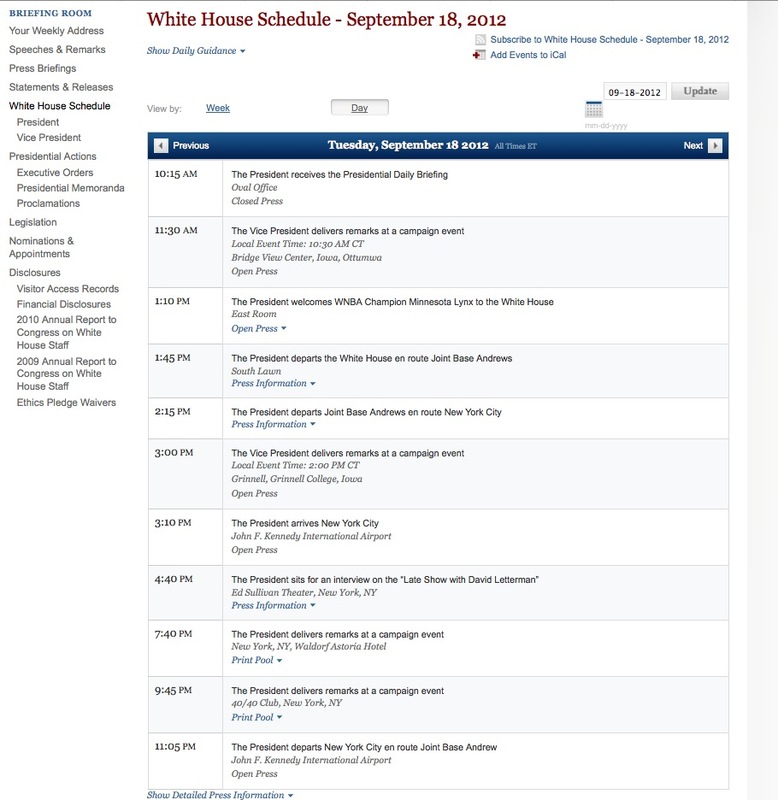 At best, Obama spent an hour or two on affairs of state. Maybe….